So it turns out I have a real thing for Christmas trees. As a kid, the branches stored in their separate bin bags for our fake tree alongside our decorations and boxes of momentos only came up from the basement around mid-December. I always felt like it was far too late in the month to decorate, wanting to join others in throwing up their tree in the living room as soon as the calendar was flipped over from November. The first year I had a tree in my flat we’d left it so late we really only had one weekend to enjoy it before the holidays came and soon I was throwing the poor thing on the pavement expecting the binmen to come turn it into next year’s Christmas cards. Only that didn’t actually happen – having read the council pamphlet wrong, I ended up stuffing it into the brown bin for recycling. Not the best start to my life as a responsible Christmas tree parent. However this year, things are a little bit more exciting as C and I passed a major relationship milestone and went halves on a ridiculously tall fake fir from B&Q. We broke out the stepladder to assemble it the first weekend in December, decorating with the prettiest twinkling lights, our clearance bin copper, gold and sparkly baubles and the clay name decorations I made last year. Everytime I make a coffee in the kitchen and look over my shoulder I end up with this ridiculously cheerful grin that only a festive tree can induce. We spent the remainder of that first festive weekend watching Christmas films with the lights twinkling, feeling very jolly indeed. My love of Christmas trees has in turn inspired another festive favourite of mine – The Great Food Blogger Cookie Swap. Each year thousands of us across the globe bake three dozen cookies and ship them off to surprise bloggers and make new friends, all the while raising money for Cookies for Kids’ Cancer. In previous years I’ve gone to ridiculous lengths to inject the taste, texture and scent of Christmas into my cookies for the swap, making my own salted caramel popcorn, soaking cranberries in brandy and even toasting-then-gilding pecans with gold edible lustre spray. But this year, I really wanted to bring a traditional pine note to my cookies by swirling tiny Christmas tree-like branches of fragrant rosemary into bubbling golden brown butter. Better than any festive candle, the scent is soft and comforting, as though you had brushed a Christmas tree with butter (disclaimer: brown butter is inadvisable as an actual tree decoration). 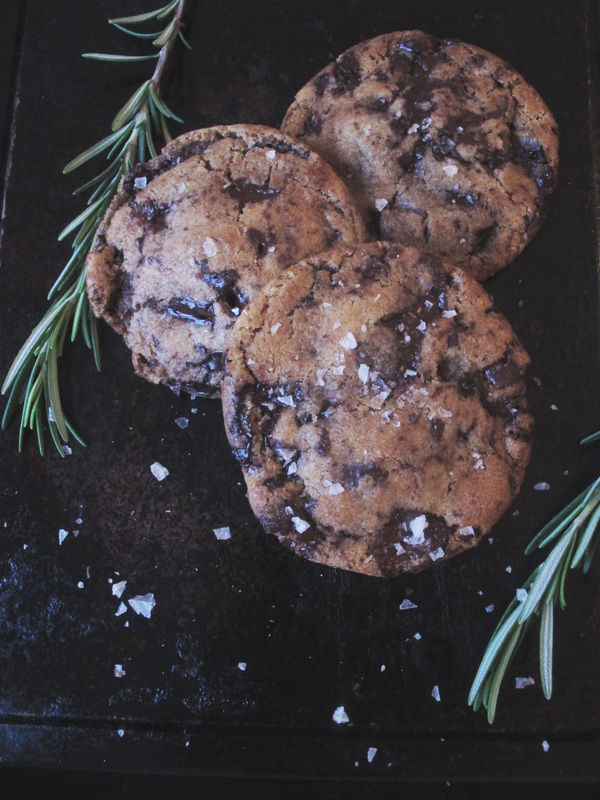 The resulting cookie is dense with thick shards of dark chocolate mixed through a dough made with equal parts light white and hearty spelt flours. And that flavoured brown butter, like a comforting Christmas tree is given a savoury note with smoked salt, like a sooty plume from a crackling hearth all lined with stockings for Santa. I parcelled up a dozen each in brown paper bags with golden washi tape and sparkling string to Federica, Marsha and Karen, who all sent lovely messages after their surprise cookie boxes arrived in the post. I received some wonderful parcels this year as part of the swap, including the sweetest note from Alicia who said she had remembered me from my blog after searching for a Homemade Colin the Caterpillar Cake recipe. She sent along a box of perfectly iced zimtstrene, christmassy stars full of cinnamon with a hint of lemon in the royal icing. I then received a bumper post day from my two remaining matches – pecan and cinnamon thumbprint cookies filled with a good helping of toffee from Gill and lovely cranberry and pecan cookies stuffed with Caramac chocolate from Claire. Thank you ladies, they were all very much appreciated. As this recipe makes a good three dozen cookies, you may want to scale down the recipe to a third of its volume for a normal batch of cookies, or keep the large quantity if baking for Christmas gifts or even just to stash some dough in the freezer for biscuit emergencies. To make the brown butter, place the rosemary sprigs and butter in a saucepan and melt over a low to medium heat. Once melted, keep a close eye on the butter - it will start to crackle as the fats and liquid separate, going foamy on top. keep a spoon handy and lift out a spoonful of butter as it cooks to check - its done once the butter turns a golden brown colour and butter smells nutty and fragrant. 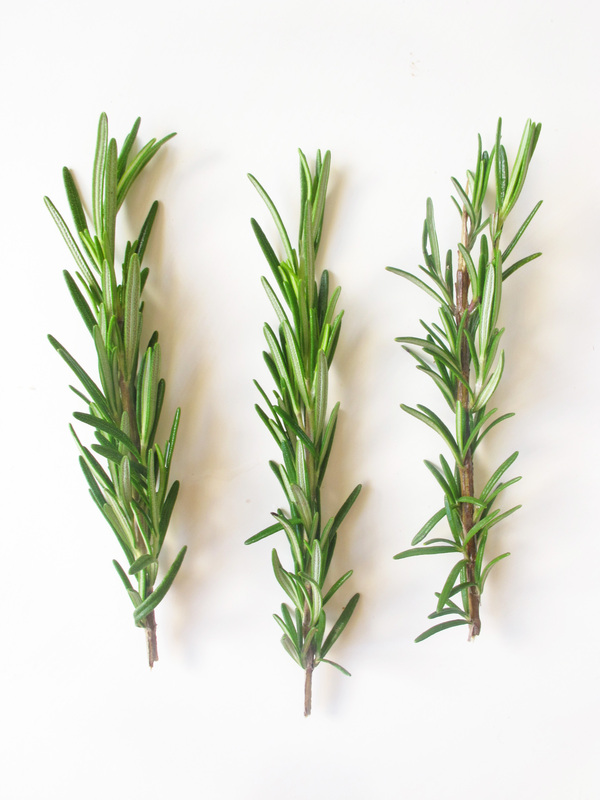 Place a sieve over a glass jug or bowl and pour through the butter catching the rosemary sprigs. Scrape out the brown butter stuck to the bottom of the pan and pull out any rough sprigs of rosemary and add to the jug or bowl. Leave the butter to cool to room temperature and discard the rosemary. In the bowl of a stand mixer, combine the two sugars together on a low speed to crush any lumps. Stop and feed the sugar blend through your fingers to ensure there are no lumps remaining then add the two flours, bicarbonate of soda, baking powder and salt and mix again. Pour in the cooled butter and mix to the texture of clumpy sand. 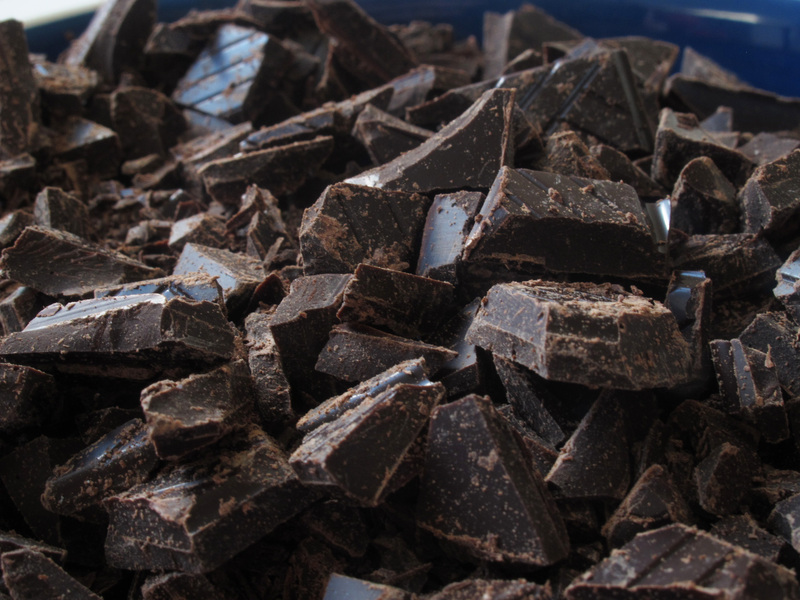 With the mixer still running, add the eggs one at a time until thoroughly incorporated then stir through the dark chocolate. Divide the dough between two sheets of clingfilm and press together to form two large discs then wrap tightly in clingfilm and refrigerate for at least 24 hours. Once ready to bake, preheat the oven to 200oc/180oc fan and line a large baking tray with baking parchment. 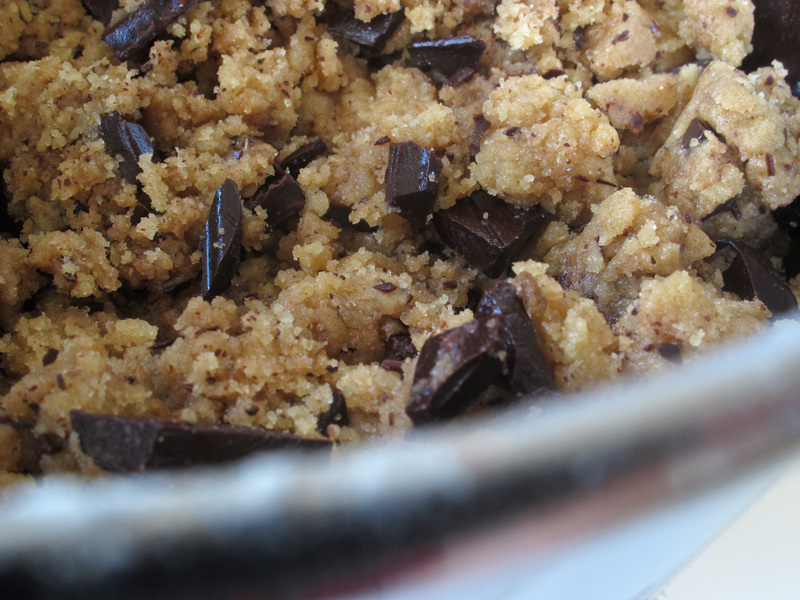 Remove the cookie dough from the oven and bring up to room temperature. Pull or slice off around 50g of cookie dough and roll into a ball. Place on the baking tray, flattening slightly and sprinkle over some of the smoked salt. Bake the cookies for around 7-8 minutes in the oven until they start to brown then remove and cool on a wire rack. Repeat with the rest of the cookie dough or you could freeze one disc for baking at a later date. Simply wrap tightly in more clingfilm then defrost the dough before baking as normal. These were one of the best tasting cookies I’ve ever had! They were SO good! Pinned for later! Oh my! These look fabulous and so unique! Oh gosh, these sound delicious – I think you’ve got almost all my favourite flavours in these cookies!